February 1959. Morse Chain Division. November 1968. Morse Chain Division. of Letchworth, British subsidiary of a US company, makers of automatic transmissions. 1903 Borg and Beck Company founded in USA. 1909 Warner Gear began manufacturing a manual transmission for cars. 1919 Became private company in UK. 1928 The Borg-Warner Corporation was formed - including Borg and Beck, Marvel-Schebler, Warner Gear and Mechanics Universal Joint. 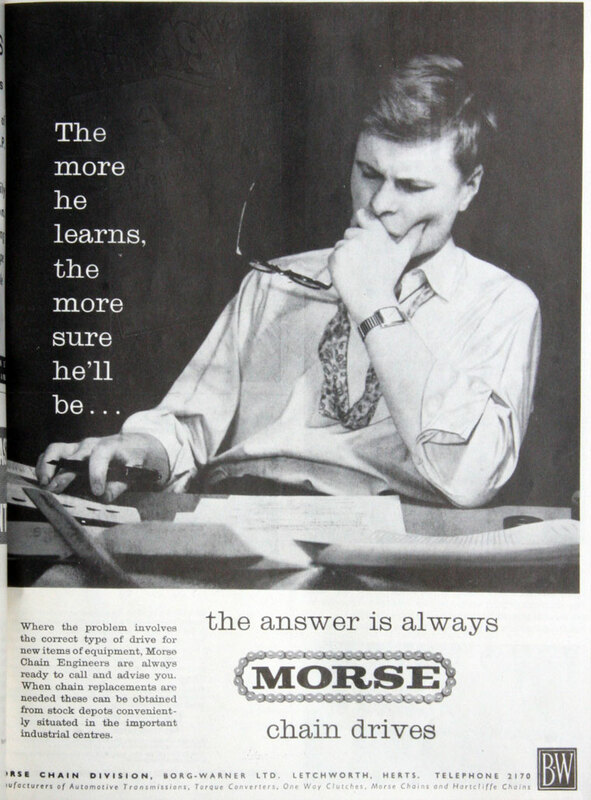 1929 The US parent acquired Morse Chain. 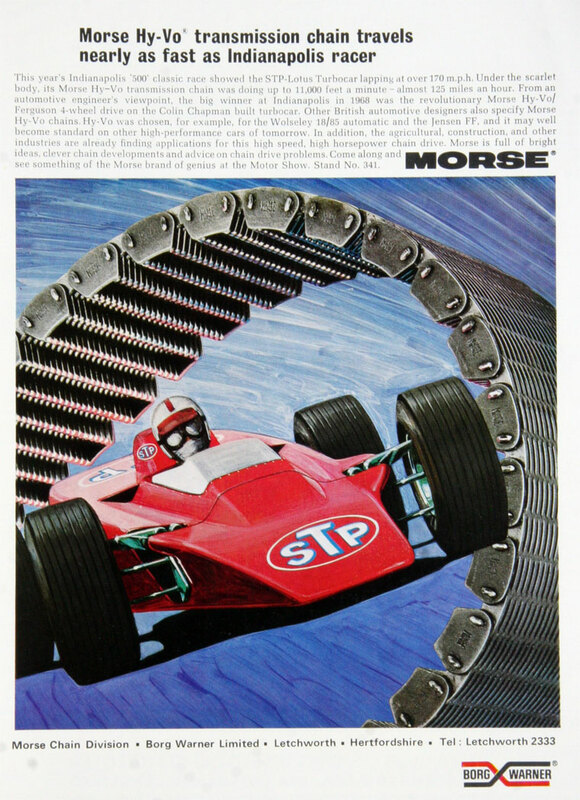 1961 Power transmission engineers, manufacturing roller chains, flexible couplings, Morse timing chains, specialising in overdrives and automatic transmissions. 900 employees. 1963 Motor Show exhibitor. Transmissions. 1981 Fiat was BW's first major customer for their advanced CVTs. 1993 Borg-Warner Automotive Inc. was spun-off from Borg-Warner. This page was last edited on 6 January 2019, at 12:35.